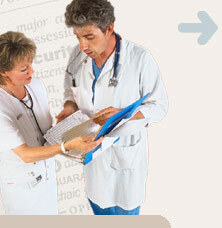 On January 23, 2004, the U.S. Department of Health and Human Services (HHS) published its Final Rule adopting the National Provider Identifier (NPI) as the standard unique identifier for healthcare providers. The compliance date for all medical practices is May 23, 2007. PMB recognizes the importance of meeting all deadlines established by HHS for implementing this required standard. All of our electronic and required paper based processing systems are NPI compliant. To review the CMS press release regarding guidelines for National Provider Identifier (NPI) deadline implementation, please click here. If you haven't obtained your NPI number yet, you may do so at the CMS site, please click here. Need to find a providers NPI ID? Please click here for the National Provider Identifier (NPI) Registry Database to look up an NPI ID.